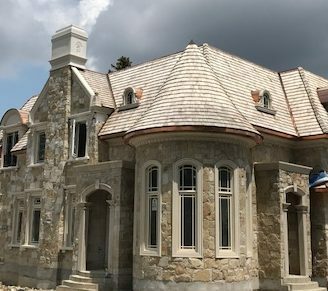 Cedar Shakes and Shingle Roofing Services Oakville, Toronto | Rooflines East Inc.
Cedar shake roofing and Cedar shingle roofing is an environment-friendly roofing system. There are many benefits to this roofing system. It is highly resistant to rain and keeps its beauty and protective qualities with little maintenance. It’s hard to beat the rustic beauty of a newly installed cedar shingle or cedar shake roof. 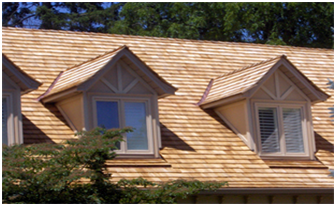 Cedar is the best performing material for making shingles and shakes. Shingles are sawn by machine and therefore have a smooth surface and uniform thickness but they may vary in width. Shakes are manufactured by wood splitting and therefore have a rather rough textured front surface and smooth back.